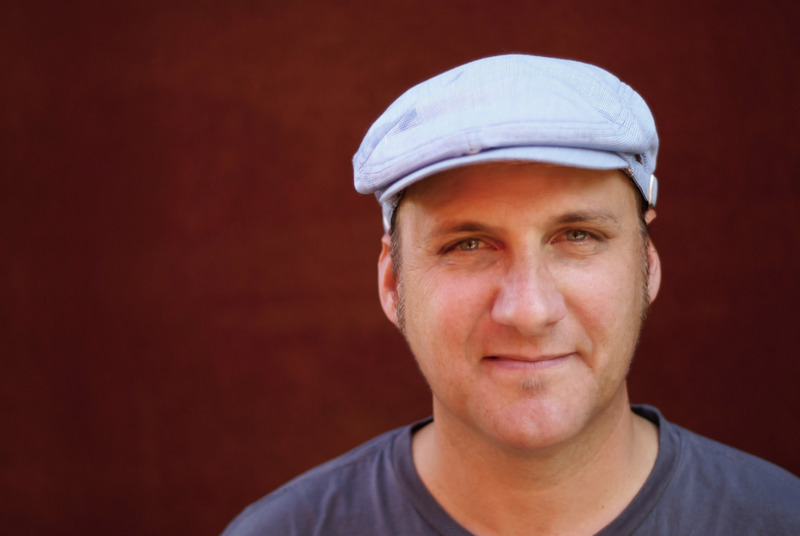 A little while back, Gerard may or may not have mentioned something about Spiral Stairs playing an instore in Seattle (by a while back I mean this morning and by "may or may not have mentioned" I mean he mapped it out in great detail... I just like suspense). Well, dear friends, here it is... In celebration of the release of his first album under the SS moniker, Spiral is taking Seattle by free-live-instore storm. Check it. Don't wreck it. 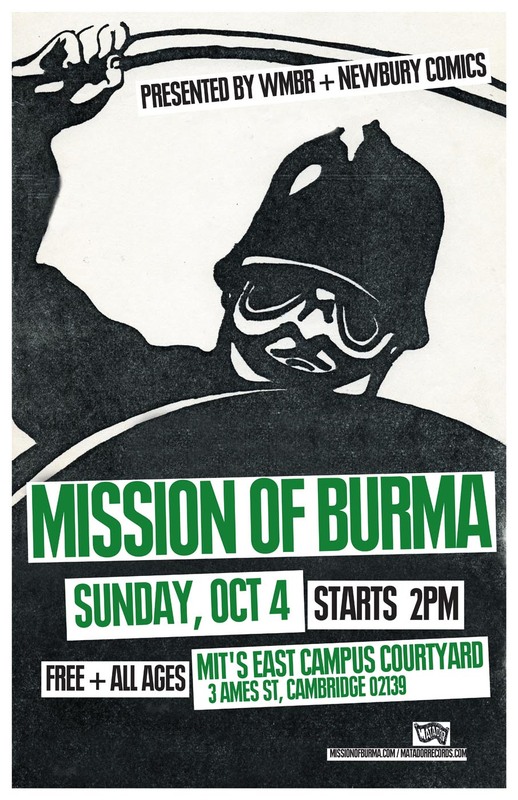 We are very, very happy to announce the winner of the Battle For Burma. The winner, who will be opening for Mission Of Burma at their free show at MIT on Sunday, October 4, is New Haven, CT's own Eula. Y'know, in the midst of all the hoopla surrounding Pavement's return to the concert stage , there's probably a tendency to overlook the forthcoming release of the first album to formally bear the Spiral Stairs nom de plume. Which is a lowdown, dirty shame, as Scott Kannberg has crafted the most (equal parts) brooding-funny-catchy-smart work of his post-Pavement oeuvre in the form of 'The Real Feel'. "True Love" (192k, MP3) is but one example. 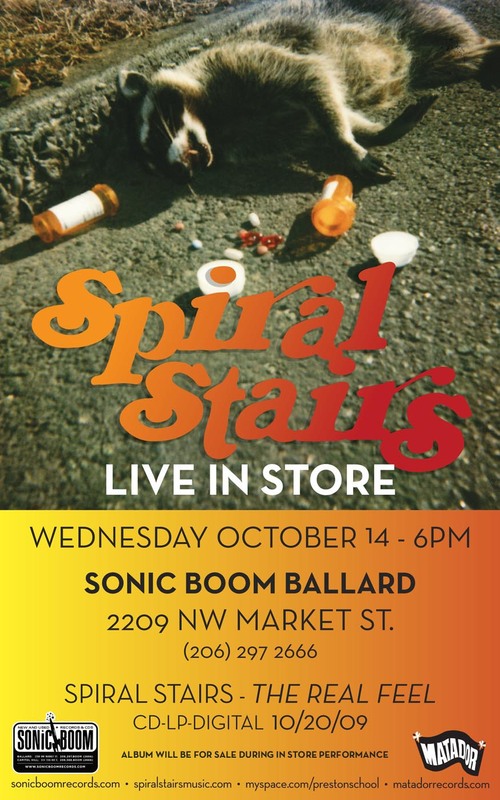 In addition to the following dates (all supporting Bob Mould other than 10/18), there will be a Spiral Stairs performance at Sonic Boom's Ballard location (2209 NW Market St.) on Wednesday, October 14 (6pm). Though 'The Real Feel' isn't formally released until October 20, Sonic Boom will have copies of the CD and LP available that day. OK, we've listed some of the dates below previously, but now we've got extensive CMJ activity for Harlem as well. If you'd like to argue that CMJ is part of America, well, that's going to be a very long discussion between you and I. While you're mulling it over, Harlem have recently completed recording and mixing of their 2nd album at Costa Mesa, CA's Distillery. For a while there was some suspicion we'd sent them to a real distillery, but all of the invoices checked out (and Chris Lombardi even swung by the place) and hopefully that's the last of our label paranoia for a while. More details surrounding said album will be forthcoming soon. 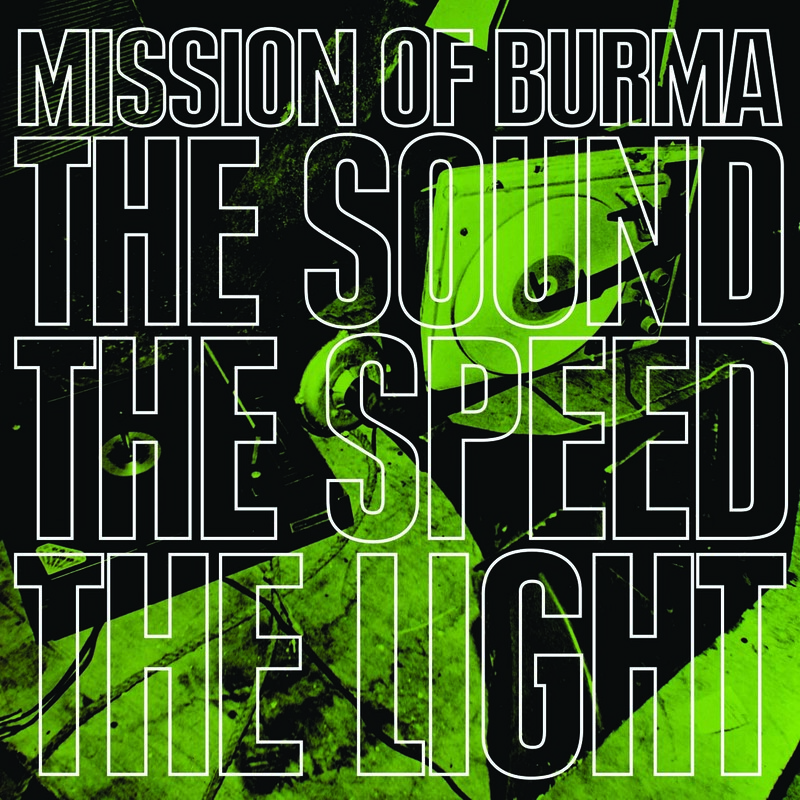 Mission of Burma's excellent new album, The Sound, The Speed, The Light isn't out for another week, and some people can't even wait until Tuesday to hail its brilliance. We have you covered though - Rhapsody is streaming the entire album right now! Disable your pop-up blockers, check the album out, and then own it forever. 1. Kurt will be talking about his new album, Childish Prodigy, which is not only better than anything he's ever done but also better than anything most people have ever done. 2. You'll have a chance to win a copy of the aforementioned album. 3. 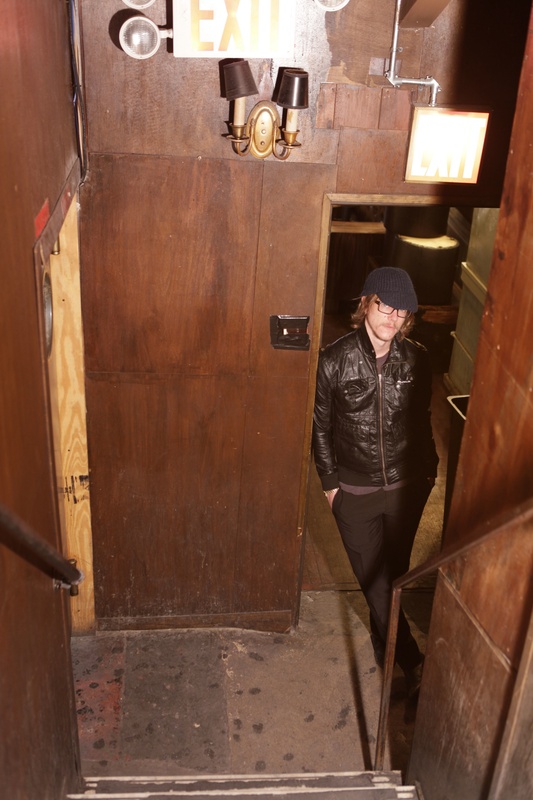 You'll also have a chance to win two tickets to Kurt's show on November 5th at the Black Cat. 88.1 FM if you're in the vicinity of College Park, www.wmucradio.com if you only know Maryland from watching The Wire. Just got back from a trip to London and am happy to report that it is still one of the record shopping capitals of the world. 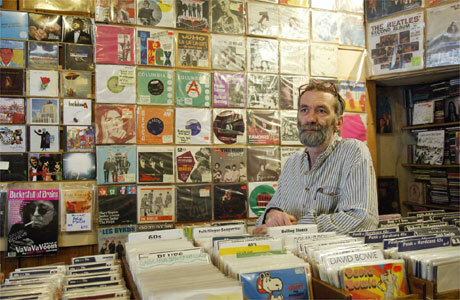 I've had many memorable visits there before, especially to the great Beano's in Croydon when it was still three stories of original UK '60s and '70s pressings at reasonable prices, and of course rummaging around in the back room of Minus Zero for folk private pressings, and a memorably expensive (but totally worth it) trawl through the boxes at Intoxica that netted me original 7"es by the Poets and the Mockingbirds as well a mint Parlophone 1st/2nd matrix original mono Rubber Soul. 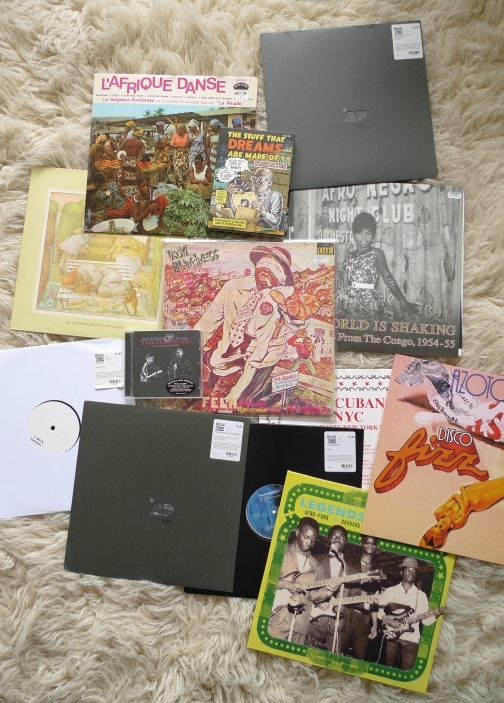 But this trip was mostly about shopping for new records. I visited the (relatively) new Rough Trade East in Brick Lane, which is London's answer to Amoeba. Totally great experience - nice people, huge selection (esp of dubstep and funky 12"es), interesting books, lots of space. I bought several singles by the great Ramadanman (thanks Dean) as well as a super-cavernous 12" from Aardvarck (recommended by staff), and a £5.99 CD of Richard & Linda Thompson in concert in 1975 that I somehow missed when it came out last year. Also scored double vinyl of the latest Benin comp from Samy Ben Redjeb's Analog Africa label. The original Rough Trade shop in Talbot Road off Portobello Market is also still great, though I remain stymied by the cramped upstairs. Downstairs is a different matter though - the vinyl is extremely well chosen and guaranteed to appeal to American buyers who are used to paying through the nose on eBay for decent copies of UK original rock and folk. I decided to spend £10 on Genesis's Selling England By The Pound, and also picked up a dead mint Scott 3 in its gorgeous laminated Philips gatefold. Unfortunately the £30 original UK (with insert!) of The Hangman's Beautiful Daughter was not mint. On to Stand Out / Minus Zero, which remains as mindblowing as ever. I didn't have a chance to talk to the ever friendly Bill Forsyth, but on the Stand Out side of the shop, Bill Allerton still presides over the greatest collection of UK freakbeat and psych still being offered in a physical location. I spotted a copy of The Hush 7" Grey on the wall, one of my longest-term wants, and correctly guessed its price as being £500. Oh well - pass. Bill immediately remarked, "I have boxes and boxes of that sort of thing under the counter." On for a quick visit to Intoxica, where they were playing some insanely over the top British humor record that could have been a Vivian Stanshall solo album - I wasn't sure. Crazy Latin records I'd never seen before, plus the Turkish alternate sleeve for Led Zep II on the wall - also for £500, in VG. Pass. Didn't go behind the counter here... the stock is incredible, but I don't have that kind of money to spend at the moment. Finally up to the top of Portobello Road to Honest Jon's, the best world / dub / ethnic store on earth. 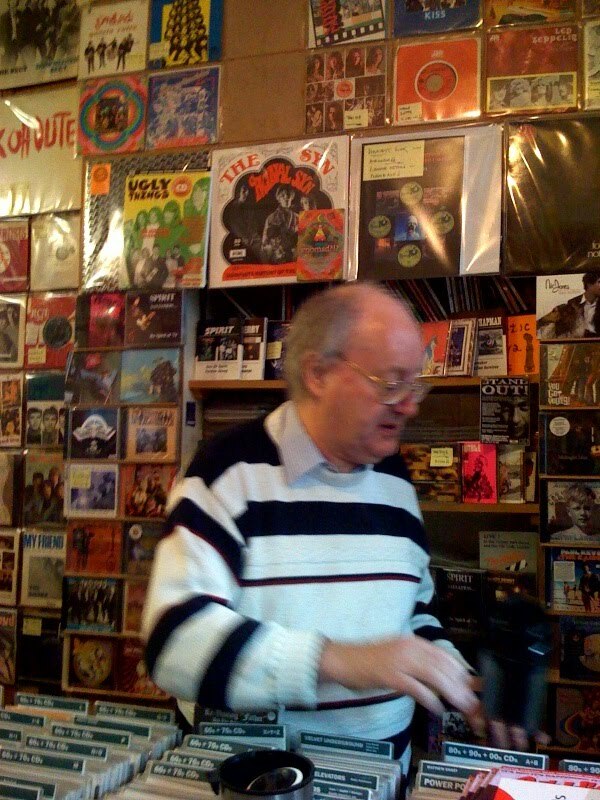 The genial Alan Scholefield was behind the counter spinning unbelievable deep reggae cuts and coming out to discuss Trikont comps of Vietnamese street music ("total Bo Diddley"). 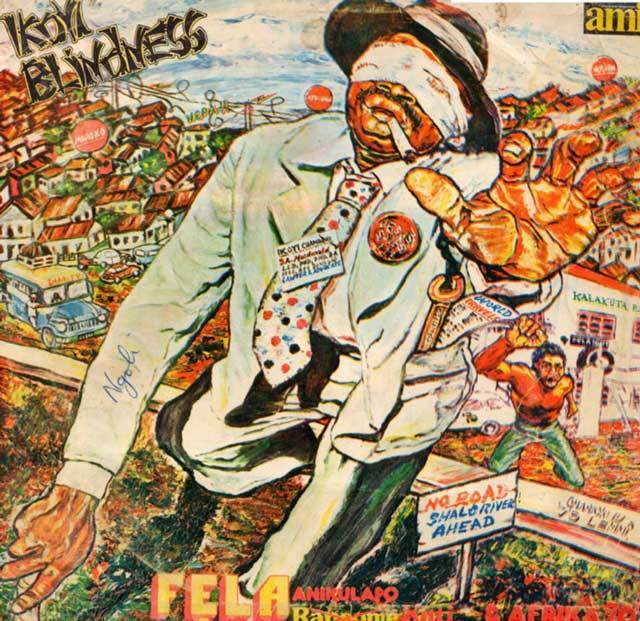 We grabbed a bunch of the latest Honest Jon's comps - including one compiling '70s bands from Upper Volta - and I scored a Tabu Ley Rochereau record from 1969 and a clean original Fela Ikoyi Blindness Nigerian pressing for £25. You may have noticed that we've been going on a bit about tonight's epic Yo La Tengo show at Roseland in New York City, and well, what can I say? We're excited. Other excited parties, and human beings in general, should tune in to WFMU at 3:00 this afternoon, when Yo La Tengo's always entertaining bassist James McNew will chat by phone with David Suisman on his Inner Ear Detour show. Also, I do believe David will be playing some music from the new album Popular Songs, which as I'm sure you can imagine is a favorite around these parts. You can engage with WFMU on the radio dial at 91.1 FM (NYC/East Central NJ) and on WMFU, 90.1 FM (Hudson Valley, Lower Catskills, Western NJ). If those parenthetical locations don't work for you, there's always online listening at wfmu.org. TGIF with YLT. That's right, this Friday (Sept 25th), should you find yourself in New York City with nothing to do, fear not. Yo La Tengo return home (or very very close to home) to play a show celebrating their brand new album Popular Songs. The event is being hosted by the Daily Show's John Oliver. 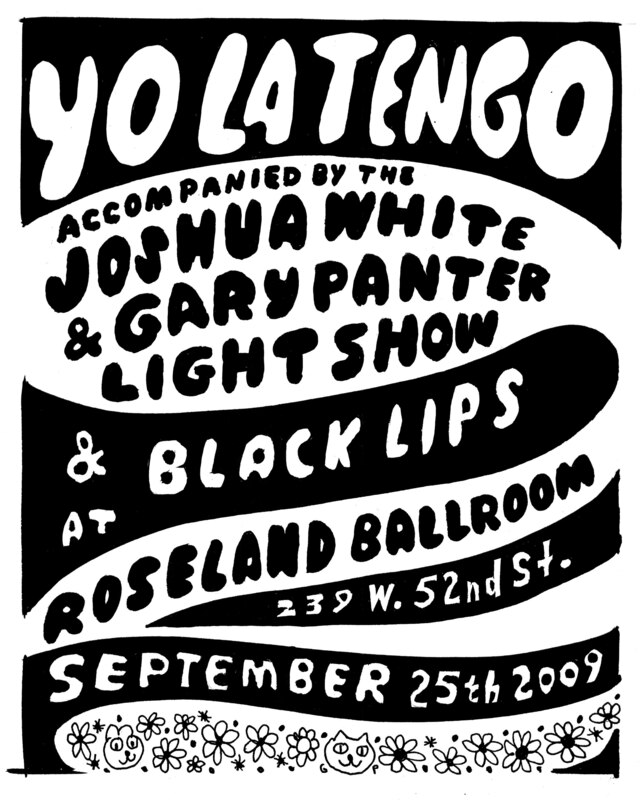 Second the Black Lips are opening up for YLT and well those guys never let you down live. And finally Yo La Tengo. Their set sounds like one for the ages, as they'll be accompanied by both a string section and a very special, one night only light show by Joshua White & Gary Panter. And since there are no plans for Hanukkah shows this year, this is your last chance to see YLT in the NYC area this year. Tickets are still available! We're a very fortunate bunch of people over at Matador Records & Filmworks. Not only do we get to work within a stone's throw of a Trump construction site (and a Chipotle! ), but we're also associated with our favorite artists-on-the-planet, some of whom we were crazy, sick fans of long before the opportunity to put out their records was even discussed. 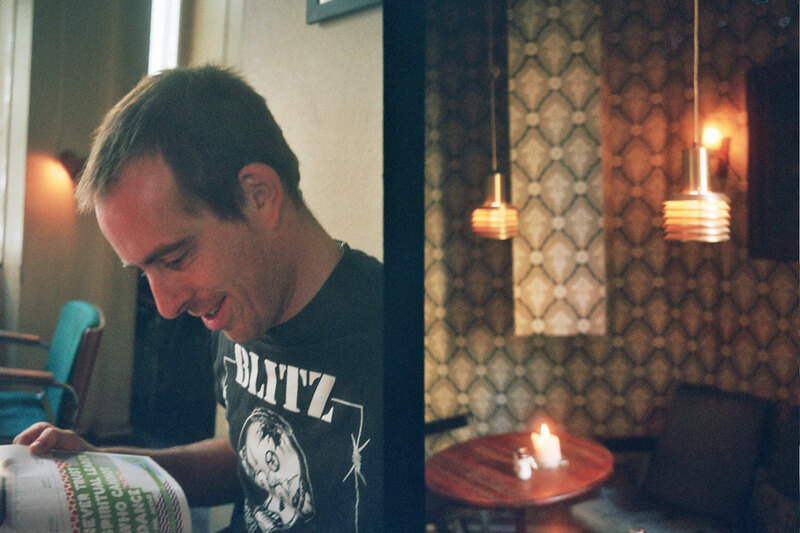 And that's the context in which we'll gladly announcing the signing of Ted Leo & The Pharmacists, with a new full-length album tentatively schedule for release in early 2010. Though a succession of releases for the Gern Blandsten, Ace Fu, Lookout (and most recently) Touch & Go labels, Ted has established himself as one of the best songwriters breathing, regardless of genre. For the sake of argument, however, we'll testify that Leo's marriage of modern punk with classic pop is always subject to revision and reinvention --- if we weren't confident that you'd be blown away, there'd be no need for this conversation. The Pharmacists' fantastic recordings have been supported with kinetic performances on big & small stages around the globe, and next year should be no exception. 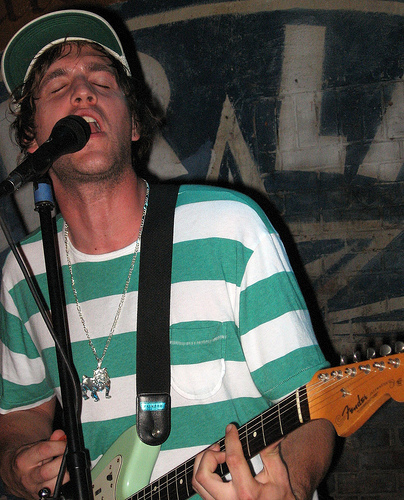 The new album, as yet untitled, was recorded throughout 2009 at Brooklyn's Seaside Lounge. Art and further details to follow. Oh but there is! 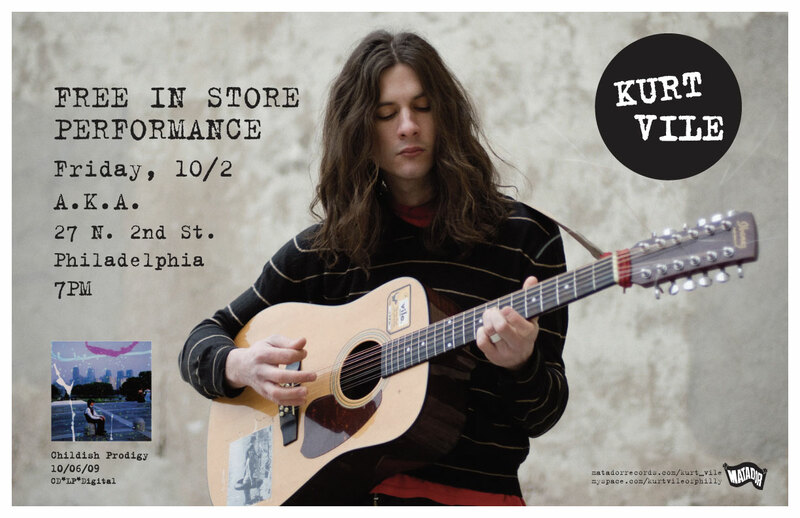 Kurt Vile's excellent Childish Prodigy is out 10/6 (pre-order it here and get the "He's Alright" 7" free), and we've noticed there's a wealth of great Kurt video footage floating around these here internets. Starting today and continuing each day this week we're going to highlight some choice KV video action for your enjoyment. The first clip comes from our friends at Yours Truly and features Kurt giving it to the kids all acoustic-style on the aformentioned "He's Alright", as well as "Breathin' Out". Today we celebrate the release of Born Again Revisited, the fine fourth album by the great Times New Viking. Buy it here, and then buy it for a friend. Pitchfork is lending a hand, today premiering the brand new video for BAR standout "No Time, No Hope", directed by Pelham Johnston and Brandon Reichard. The hardest working band in sports is on tour this fall. Fucked Up are the winners of Canada's Polaris Music Prize. 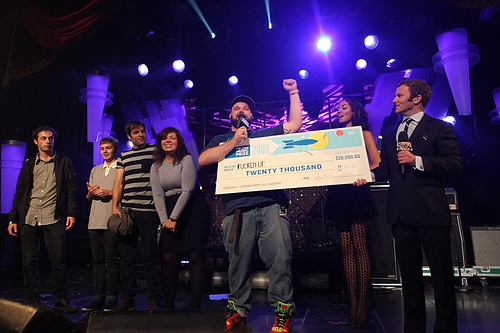 Awarded annually to the best Canadian musical artist, there is only a single artist chosen and it is an highly prestigious award. 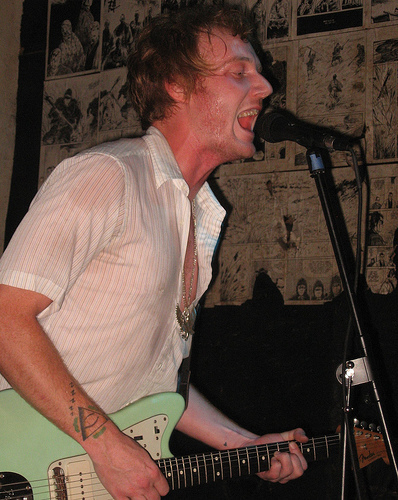 For their performance on the show, Fucked Up were joined by Final Fantasy and Lullabye Arkestra. Not to mention Mrs. Falco, better known as Jonah's mom (she plays the flute intro that leads off The Chemistry Of Common Life). You can view their Polaris performance of "Son The Father" on the Much Music site if you visit this link and then expand the "MOST RECENT VIDEO" tab. Don't forget, Fucked Up will be doing a full-album performance of Chemistry at the Brooklyn Masonic Temple on November 5... with additional musicians to truly bring the multiple layers of density and allusiveness that make up that album. Get ticketing info here. Vincent Moon and Co. take on Yo La Tengo. Popular Songs is out now and available for purchase here. YLT are on tour now with a special show in New York City this Friday. Coming to a British city near you. Don't forget your dancing shoes. Support on all dates comes from Brooklyn's I'm In You. Tickets for the Bowery Ballroom and Brooklyn Bowl shows are on sale now. 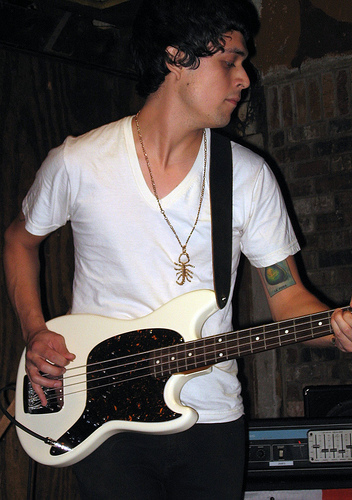 Julian Plenti. '..is Skyscraper' LP/CD/digital album available from the Matador Store.